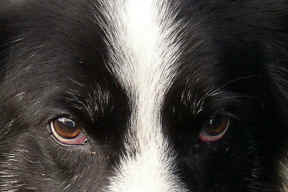 Border Collie Rescue - Keeping and "Eye" on the breed. Border Collie Rescue exists by public support. We are a registered charity and a registered non profit voluntary organisation and no-one involved receives any payment or benefit. All our funds go towards our operating costs in assisting Border Collies in need. The problem of unwanted Border Collies is Huge. We, at Border Collie Rescue, are seeking to address these problems at their root as well as dealing with the results by offering sanctuary - re-habilitation and new homes to as many dogs as we can take on. Border Collie Rescue looks at the bigger picture and we seek to assist other organisations and rescue charities in the care and re-homing of Border Collies through advice, assessment, space on our Website to show their dogs and the sharing of suitable homes. Help us to do more by making a regular monthly donation. Any amount will help. The Central Fund is essential for all the work of Border Collie Rescue and is used to pay any bill. The fund underwrites the superstructure of the organisation and enables us to operate our office, pay phone bills, cover the expenses of home visits and transporting dogs and top up the Border Collie Rescue Welfare Fund if it gets low. It covers our leaflets, information sheets, educational projects, open days and the Website. In fact any and all aspects of our work. The Welfare Fund is a dedicated fund that pays all bills directly relating to the welfare of dogs in our care. It pays Vet's Bills, Food Bills, Treats, Training aids and accessories and any Accommodation costs. Unlike the Central Fund, which can be used to pay any bills, the moneys in the Welfare Fund cannot be transferred to any other fund or used for any other purpose. Every penny given to this fund is used directly on the care of the dogs. If you would like to assist us in our work by making a donation, you have a choice. The Treasurer, Border Collie Rescue, 57 Market Place, Richmond, North Yorkshire. DL10 4JQ. If to our Central Fund, made out to Border Collie Rescue. If you are a UK tax payer we can reclaim (currently) 28p of tax for every pound you donate through Gift Aid. If you want to make a regular donation, click on the fund of your preference below and a page will open in a new window with a Standing Order Form for the fund you have chosen. You print it out, fill it in and submit it to your bank. It would help us to know that you have done this for us, so please let us know, by post or e.mail. You decide how much and for how long you want to help. Border Collie Rescue is a charitable non profit company limited by guarantee, run and staffed by unpaid volunteers, registered in England no 3037504. Border Collie Rescue is registered with the UK Charity Commissioners (Registered Charity 1128983) and we qualify for gift aid. To print out a Gift Aid declaration form, please click here. If you wish to make a regular donation, please use one of the links below to open and print a standing order form to donate to one of our funds.